Obtaining mesenchymal cells, or stem cells, from umbilical cord is an extremely sensitive and complicated procedure. It takes highly skilled and experienced people and state-of-the-art technology working in tandem with each other. To ensure the best results, our team of dedicated scientists supervises every step of this complex and painstaking process. In addition, each of our technicians working on this process are highly trained and have years of experience. First the cells are taken out and labelled with extreme care to ensure that not even one viable cell is lost through negligence. They are then transported to our highly specialised lab where they are isolated from ordinary cells. The next step is crucial and needs a 100% sterile environment. Once we have isolated the stem cells from ordinary cells, we expand them. 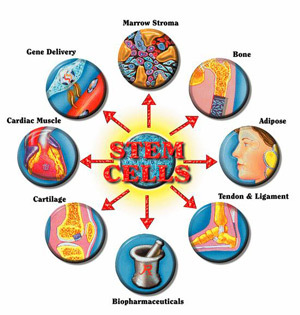 Which means that the stem cells that we have procured are multiplied carefully to create more cells. The aim here is to produce as many as good and viable stem cells as possible. To this end we use cutting edge technology and the most modern techniques. We start testing the cells right from the moment we start to expand them. During the process of cell expansion we test for infectious diseases, heredity and genetic defects as well as tissue problems. After the cells have been expanded, we perform rigorous tests to check stem cell surface markers. These are signs that tell us about the stemness of the cells. This further helps us isolate good quality stem cells from ordinary or bad quality cells. Now the cells are all ready, we send the expanded stem cells for further testing for bacterial and fungal culture as well as mycoplasma. These culture tests will tell us whether there is even a trace of these harmful micro-organisms present in these stem cells. The aim of all these tests are twofold. First, we want to ensure that the cells are completely free from any microbiological contamination. We also watch out for genetic or hereditary defects. On top of that, our scientists need to be satisfied that the stem cells are of the highest quality possible. Only when the cells have passed all these tests will they be released for treatment. If the rigorous testing that we put the cells through reveals any kind of contamination or genetic defect, we immediately discard them. In this case fresh batch of stem cells will have to be obtained. Extreme care is taken in storing the stem cells to ensure that not even one of the cells is damaged. They are kept frozen at extreme the low temperature of -190 degrees centigrade. At this temperature, cells can be stored almost indefinitely without harm. However our care does not end there. We keep the cells frozen to the point just before injection. Just before they are to be used, we thaw them up rapidly to room temperature. This is to ensure that they do not get damaged after they are thawed. Once thawed, they will be used almost immediately and you will receive your stem cell injection.